Your body craves homeostasis, so to make a difference in your physique, you have to constantly change your plan of attack. Work these effective but underrated training techniques into your regular routine to keep your body guessing and performing at its best. Isometrics is a type of strength training where the angle of the joint and the length of the muscle do not change during the contraction. Simply put, you contract all the muscles in your body, as hard as you can, in certain positions, for a predetermined period of time. This overloads the central nervous system (CNS), shocking it and stimulating new muscle growth even though you're barely moving. “Iso” means “equal” and an “isometric hold” is when you hold a position with significant resistance, which requires strength, balance, and concentration. You can use weights, resistance bands, cables, or just your body weight. Often, the exercise looks easy but is mildly to extremely difficult; you set the level. One of the main benefits of isometric training is that the body is able to activate nearly all of its motor units at once, something that is nearly impossible with any other training technique. Isometrics also increases your time under tension, a key factor in building muscle strength and size. Think about a typical dynamic exercise, like a push up. A slow, controlled push up takes, say, 2 seconds to perform, only passing through each joint angle for a fraction of a second. The isometric version of a pushup, where you hold the push up position halfway through the rep, pressing against the floor to fight gravity and your body weight, can be held for numerous seconds, or even minutes, vastly increasing your time under tension. Adding isometric workouts once a week can greatly improve your strength. They won’t leave you exceptionally sore, as they CNS fatigue as opposed to muscle damage, but it can take the nervous system up to five times longer to recover than the muscular system, so the effects of isometric training can last a long time after your session is over. There are two types of muscular contractions: concentric and eccentric. Concentric contractions shorten the muscle or close a joint, like curling your bicep, while eccentric contractions occur while the muscle lengthens, or the joints opens, like uncurling your bicep. Negative training involves overloading the muscle during the eccentric contraction of an exercise, then having a partner help you return the weight to the starting position through the concentric contraction. Using the bicep curl as an example, you would lengthen your arm very slowly to full extension under heavy resistance, then curl back in with assistance. 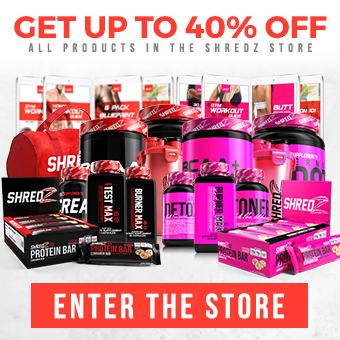 During strength training, the goal is usually failure on the last rep, or close to it, to elicit change within the muscle [https://shredz.com/products/performance-stack-for-men]. 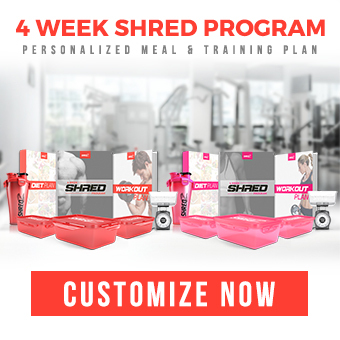 What makes negative training so effective is it allows you to push your muscles beyond failure, allowing you to lift 30 to 40 percent more weight than you could concentrically, causing more micro-damage and fatigue to stimulate more growth and change. The only downside is that you do need a spotter you can trust, that will support you just enough to help you finish the move while leaving the brunt of the work on you. They should also work to keep the speed of reps smooth and controlled. You hear about plyos a lot but unless you do CrossFit or sports-specific training, most people don't make an effort to do them. Plyometrics is essentially jump training, which teaches your muscles to exert as much force as possible in the shortest amount of time so that they’re more explosive. This, in turn, improves your speed, power, and athletic performance. In terms of the intensity of your workout, plyos will increase your heart rate like nothing else, providing excellent cardiovascular benefit and that coveted post-workout fat burn. During a normal muscle contraction, the muscle shortens to close a joint. During a jump, there are two movements: a stretch of the muscle followed by the contraction, referred to as the stretch shortening cycle, or SSC. Plyometrics are based on the principle that the SSC can create more power than a normal muscle contraction because during SSC, the muscles store up tension from the stretch, like a spring. The greatest output can be achieved when the stretch is performed as fast as possible, so quick continuous jumps produce the best effects. Plyometrics is a popular sports training technique because the exercises enhance your reactive strength and coordination, skills that are essential to everyone who wants to perform physically, especially powerlifters. Not only that, but over time, plyometrics can actually increase the number of fast-twitch muscle fibers in a muscle group. Fast-twitch muscle fibers produce quick, explosive movements while slow-twitch fibers are responsible for long stretches of endurance. The effects are not immediate, but with consistent plyometric training, you really can physically change the structure of your muscles. Plyometric training can be done with just your body, but the workouts usually involve platforms to jump onto; if you do such “box jumps,” be sure you only use the square boxes specifically for this purpose. They are stable and have a special bumpy surface to prevent slipping. Reps become forced when a lifter reaches muscle failure during a set and has a spotter assist in completing a few additional reps. Working far past the point of failure fatigues more muscle fibers, thereby stimulating more growth and denser muscle mass. If you combine forced reps with drop sets, where you lift past failure, strip off some weight and move right into your next set, you'll be an unstoppable muscle-building machine. Forced reps are used to shock the muscles and overload your system, so they should not be used consistently. Mix them into your routine sporadically. Because you will be lifting heavy and working well beyond failure, make sure you have a spotter you trust. Just like with negative training, your spotter should assist but not take over, controlling the speed of the movement to get the most from each rep by maintaining maximum muscle tension.